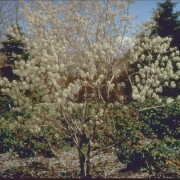 A large shrub with white flowers and superb autumn colours. 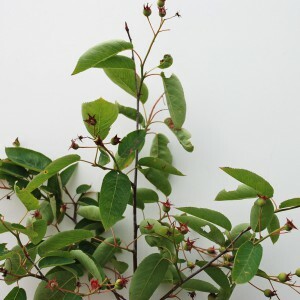 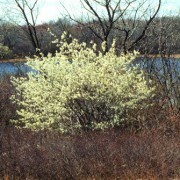 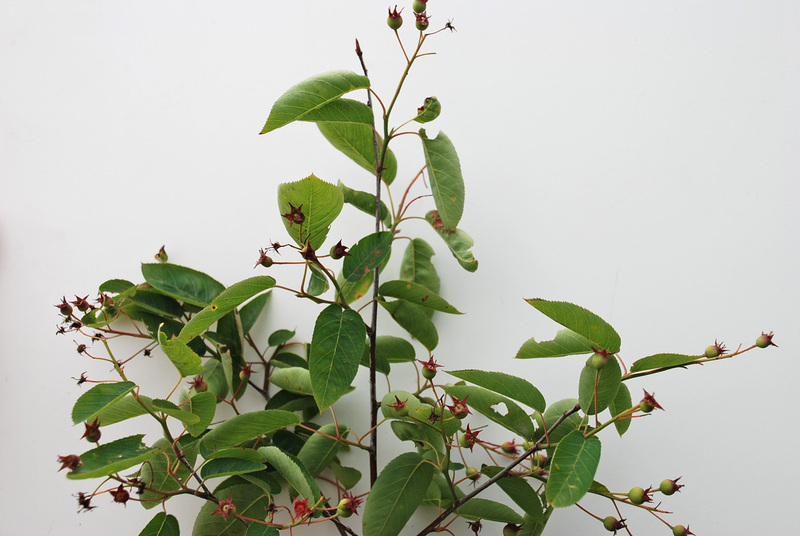 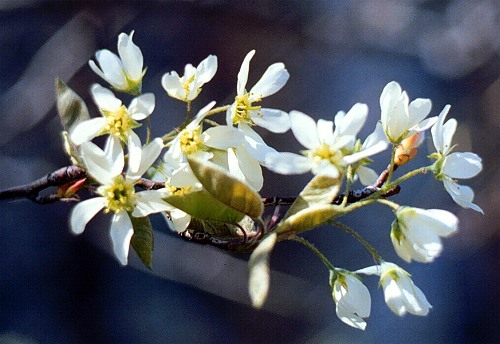 Amelanchier Canadensis (Snowy Mespilus)– A deciduous shrub or small tree which grows to 0.5-8m tall. 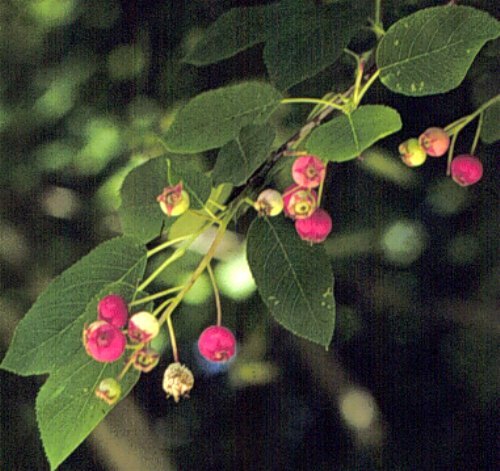 One of the best ornamental shrubs due to the range of colours it displays over the seasons. 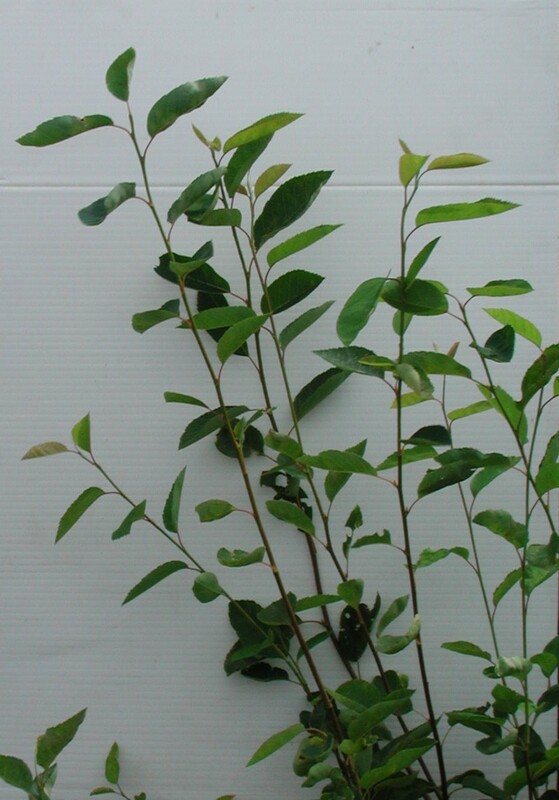 Its long oblong leaves are a bright green, turning to a spectacular show of oranges and yellows in the autumn. 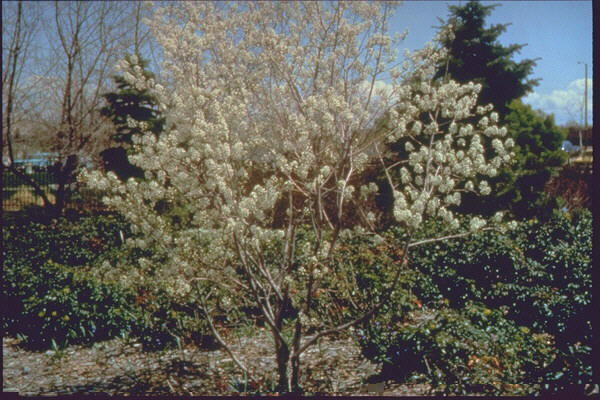 During the spring, the snowy mespilus puts on a show of beautiful petite white flowers, followed by small, round dark blue-black fruit. 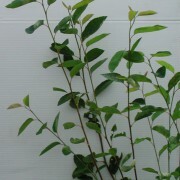 Fruit: Dark blue-black fruit when ripe. The fruit is edible and sweet. 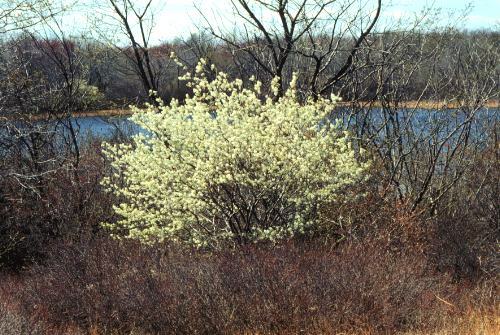 Soil Type/Habitat: It tolerates most soil types and conditions. 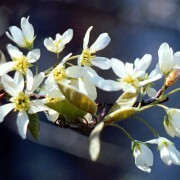 Grows well in moist situations.